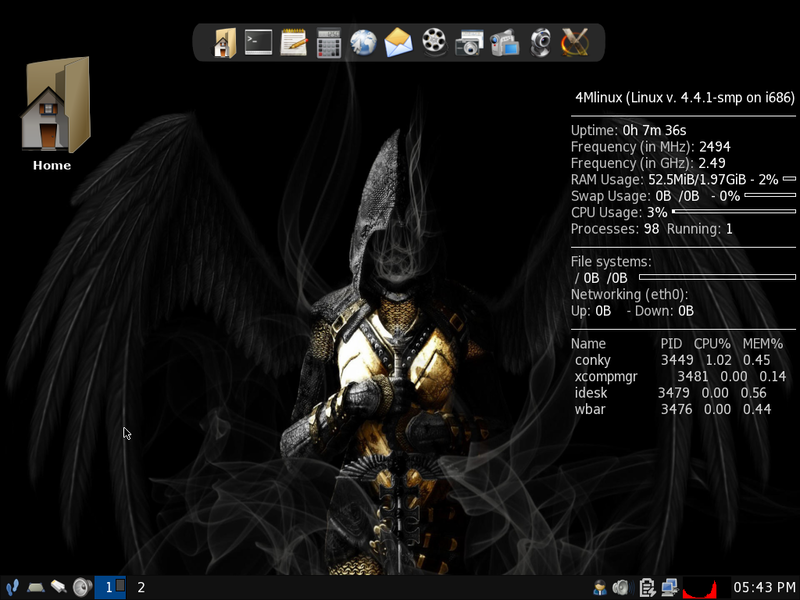 It has been a while since I last looked at 4M Linux. (Click here for the review). It has a small download size at 421 megabytes. The maintenance section has backup and recovery tools which make it possible for you to recover a faulty system. The mini server section has tools for create mail, web and media servers. The multimedia section has video, audio and image editing tools. The mystery section has lots of lightweight games which includes some retro action including Quake and Doom. My main issue with the previous version of 4M Linux was the hit and miss nature of the internet connectivity when using a wireless connection. The installer was also fairly primitive. The other main issue was the lack of any form of package manager. All packages are installed from tar files and there are a limited number of them. I wanted to see if 4M Linux had improved in the 20 months since I last looked at it. There are so many good distributions out there at the moment. You have to really hit a niche or be the best to get a look in when it comes to user base. It is getting harder and harder to justify a case for using a distribution that isn’t one of the Ubuntu flavours such as Ubuntu, Kubuntu, Xubuntu, Lubuntu, Ubuntu GNOME and Ubuntu MATE or one of the other top 10 distributions such as Debian, Fedora, openSUSE, Manjaro, CentOS, Arch, Mint, Zorin and even Mageia. In theory 4M Linux is in a niche of distributions which will work on very old hardware and so perhaps justifies its existence because it is lighter than Lubuntu. The trouble is that this is a crowded market as well. There are multiple Puppy flavours lying around although some of them haven’t been updated for a while and probably need to be taken to the vets. There is also AntiX which has always performed well. My personal favourite in this area has to be Q4OS. If you want an alternative to one of the larger distributions there are still dozens of great distributions to choose from. Off the top of my head without even heading to distrowatch there are SolydXK, Makulu, Bodhi, LXLE, Netrunner, Peppermint and Korora. Therefore if a distribution such as 4M Linux is standing still or going backwards then it is hard to see how and why I would justify using it over any of the aforementioned distributions. Without further ado, lets get on with the review. 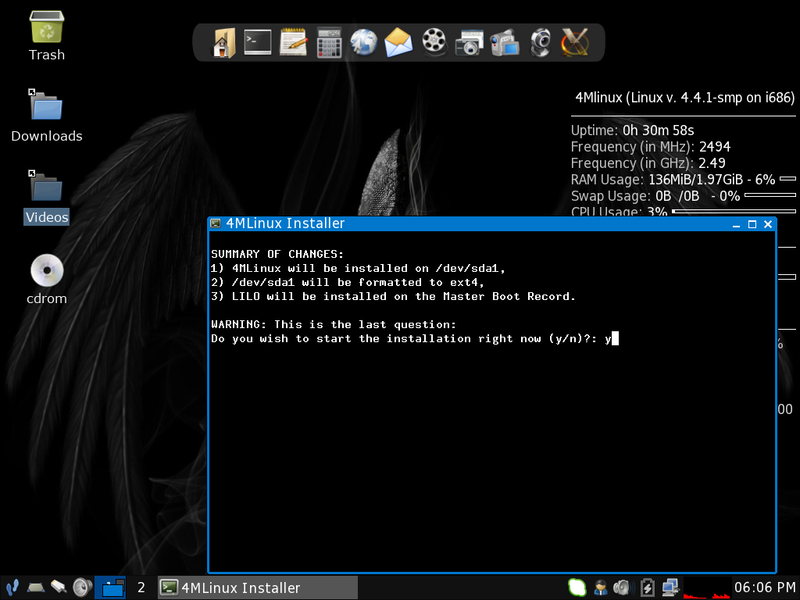 You can download 4M Linux from http://4mlinux.com/index.php?page=download. 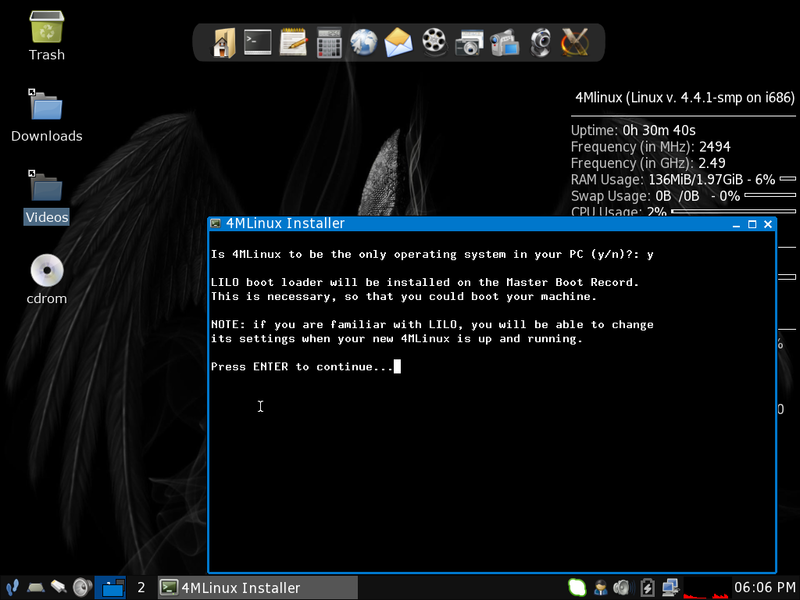 The tool I used to create a 4M Linux USB drive is UNetbootin. Click here for a guide showing how to create a Linux USB drive using UNetbootin. Note that 4M Linux doesn’t boot on a computer with a UEFI boot loader and so you will need to switch to legacy mode to use it. To be honest, I doubt that if you have a machine with a UEFI boot loader that you have a computer old enough or with the memory and processor limitations that will require you to run a system such as 4M Linux. This is designed for older hardware. I do not recommend installing 4M Linux as a dual boot system. The installer is a bit archaic and I am not convinced by it at all. When you first boot into the live system you will see the following screen. You can see that there is an editor open which sets the default language to English. You can however change this to the 2 letter language code of your choosing. 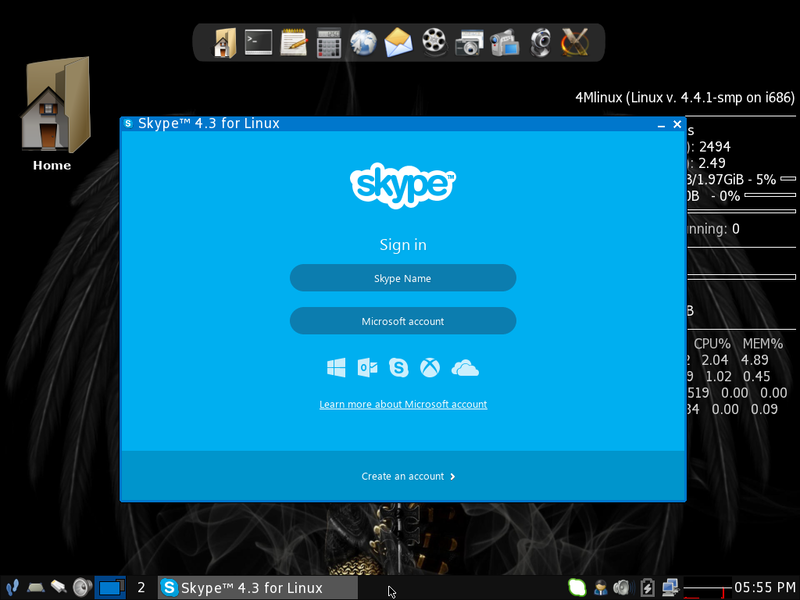 Closing the window allows 4M Linux to complete its system load. it actually looks really nice. 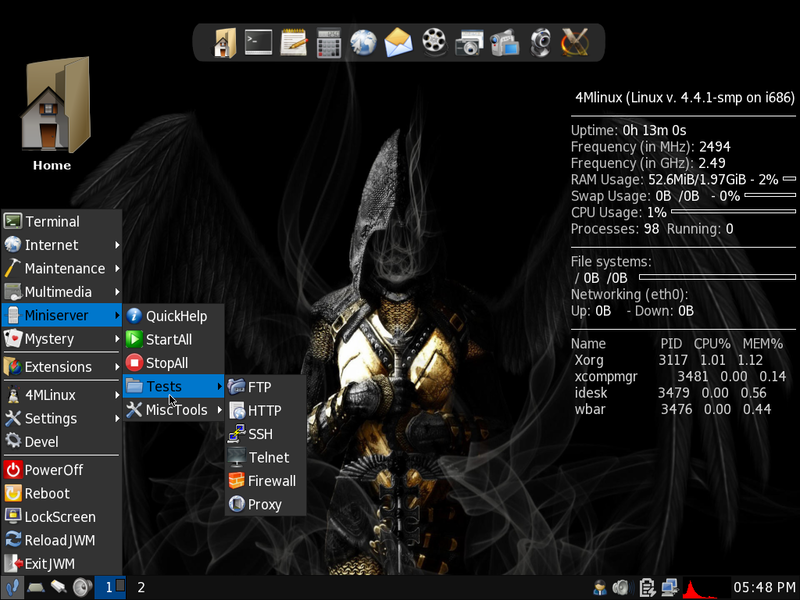 There is a panel at the bottom and a nice docking bar at the top and Conky has been set up on the right of the screen. To bring up the menu you can click anywhere on the screen with the left mouse button. 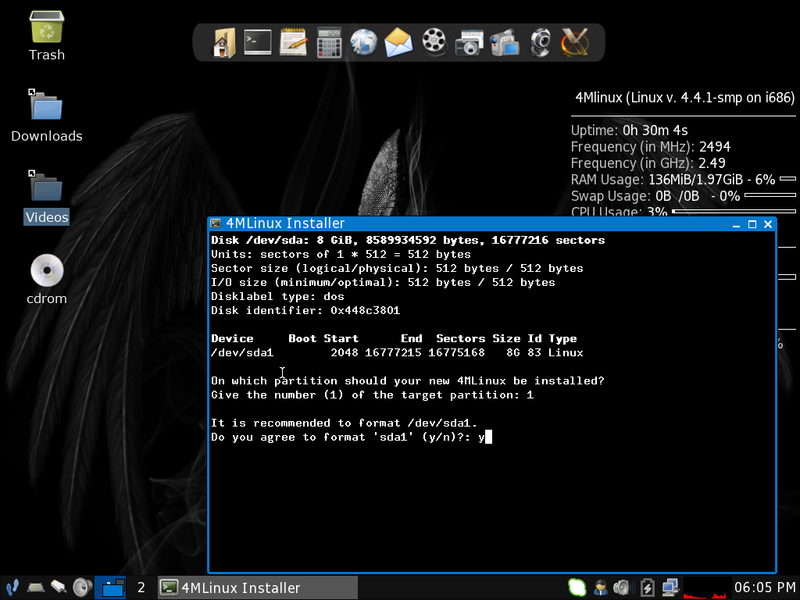 Under the 4M Linux menu there is an option to install 4M Linux. The installer is just a script. I can live with this because it is a lightweight system and as long as it works then it doesn’t really matter how pretty it is. The message clearly states that you need to create a partition on your computer first. As mentioned before I don’t recommend dual booting so do this on a computer with a single hard drive and format the entire partition to EXT4 using GParted. If you don’t create a partition you will get the above error. As you can see I created a single EXT 4 partition and then I re-ran the installer. 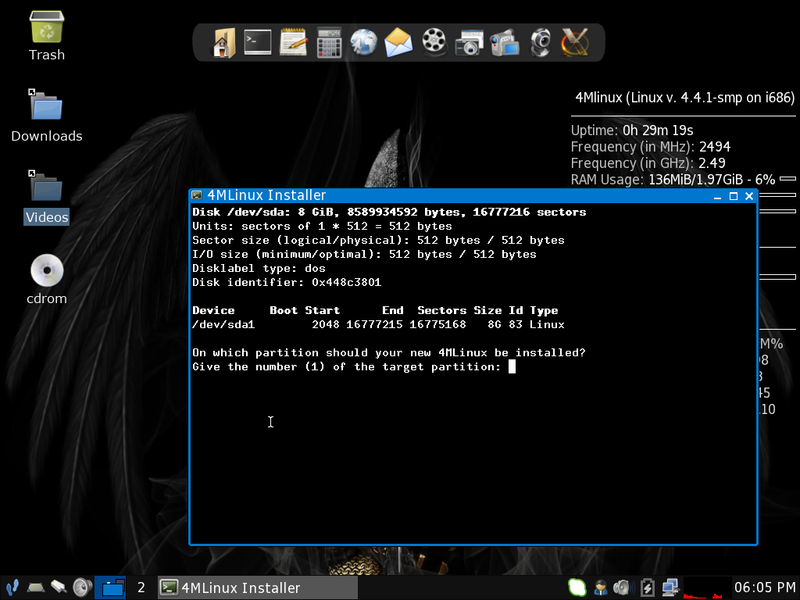 You will be asked to choose the number of the partition to install 4M Linux to. A message appears asking whether you want to format the partition. You are asked whether 4M Linux is to be the only operating system. If you choose yes then the Lilo boot loader is installed, if not then GRUB is installed. A summary will appear and entering y starts the installation which is exceptionally quick. Seriously we are talking under a minute. When you reboot you are asked to create a password for the root user. I don’t understand why 4M Linux is set up this way but when you run the live version it boots straight to the window manager but after installing it you have to use a command line login and you have to start the GUI yourself by typing startx. If in the previous version of 4M Linux connecting to the internet via WIFI was hit and miss then in the latest version it is nigh on impossible. 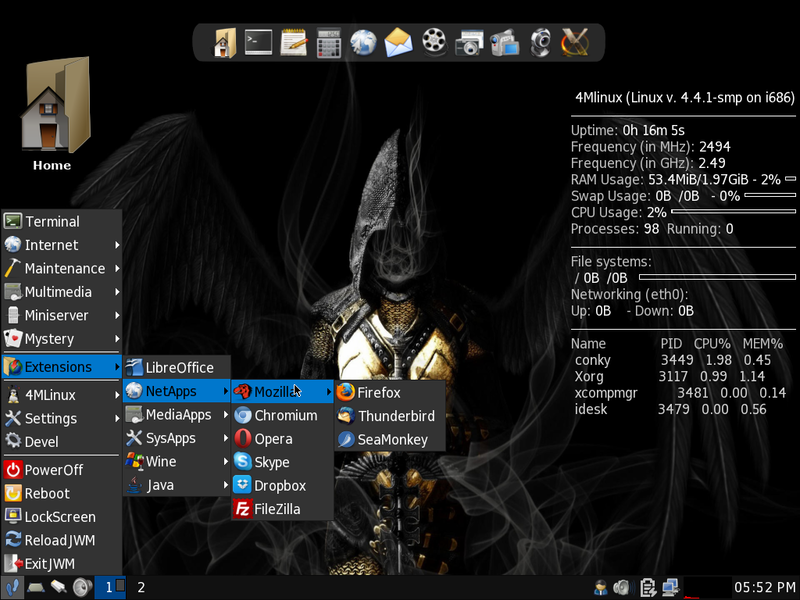 The main desktop includes an applet in the panel for connecting the wireless networks. I chose a network and entered the password but it did nothing. On the settings menu there are a number of options for connecting to the internet including WiCD which is a graphical tool and a command line menu which helps to set up the internet using WPA_Supplicant. Unfortunately despite trying on 3 computers with different wireless cards and trying with a number of different wireless networks I could not get a connection. The fact that I can see the names of the networks via the menu is encouraging but the upshot is I get a “failed to get lease” error continuously. Without an internet connection I decided to continue the rest of this review via a Virtualbox virtual machine so that I could piggy back off the internet connection from the host operating system. As mentioned previously, 4M is split into 4 sections of which one is Maintenance. The data menu is split into three sections which are backup, recovery and wiping. This section allows you to create backups, recover from backups and create system images. The backups produces another script which allows you to backup your files to USB, FTP or CD/DVD. The recovery is a similar script. The wiping section provides a list of partitioning and imaging tools. 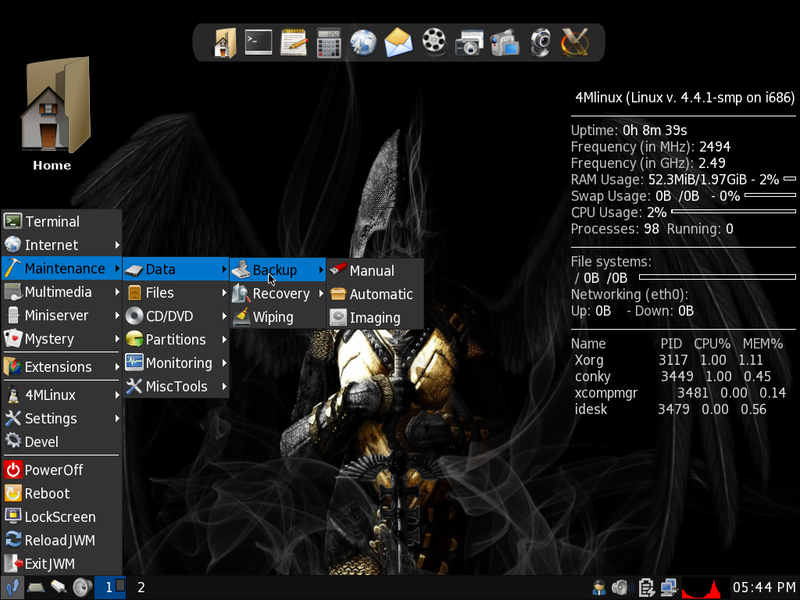 The files menu contains tools such as midnight commander which is a command line file manager and PCManFM which is a GUI file manager. The CD menu provides disk burning tools and the Partitioning menu provides partitioning tools such as GParted. The monitoring section has tools such as htop which provides a list of processes. Finally there is the misc tools menu which has the Clam Antivirus option, UNetbootin and GRUB. The Multimedia section is probably the best part about 4M Linux. You can watch videos using the lightweight but functional MPlayer GUI. It has a nice video playing interface with play, pause, fast forward and rewind buttons and a decent menu system for selecting the files you want to play in the first place. 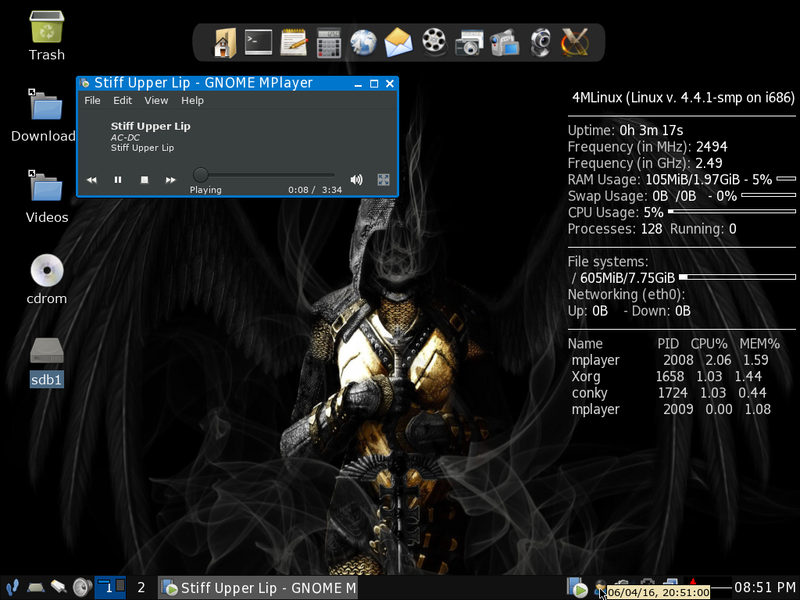 The audio player is GNOME MPlayer. This is a bare bones audio player. You can select a single file or a folder of files to play. There is another script available which lets you choose whether to play an audio CD or local files etc. This essentially loads midnight commander which is a file manager and you pick the songs from there. The ability to play MP3 audio works without having to install extra codecs and Asunder is installed so you can convert audio CDs to MP3. There are some other smaller tools for creating MKV files from videos and WAV files from audio. For viewing images there is a program called GPicView. Again we are talking barebones sort of applications but it works. Imagemagick is also installed for image editing. Finally for the multimedia section there is the Youtube Downloader. When you click the menu option it says you need Python which is included on the installation CD. Strange why you would install something that has a dependency on something else and not install the dependency. The mini server is a strange section. There is a tests menu with options for ftp, ssh, telnet, firewall and proxy. You can start all of the servers by clicking the start all button and test each of the different server types by choosing the appropriate option from the test menu. Under the Misc Tools section there is an option for LAMP (Linux, Apache, MySQL and PHP). However when clicked it says you have to install it from the installation CD. We will come to installing extra software later on. The mystery section basically means games. 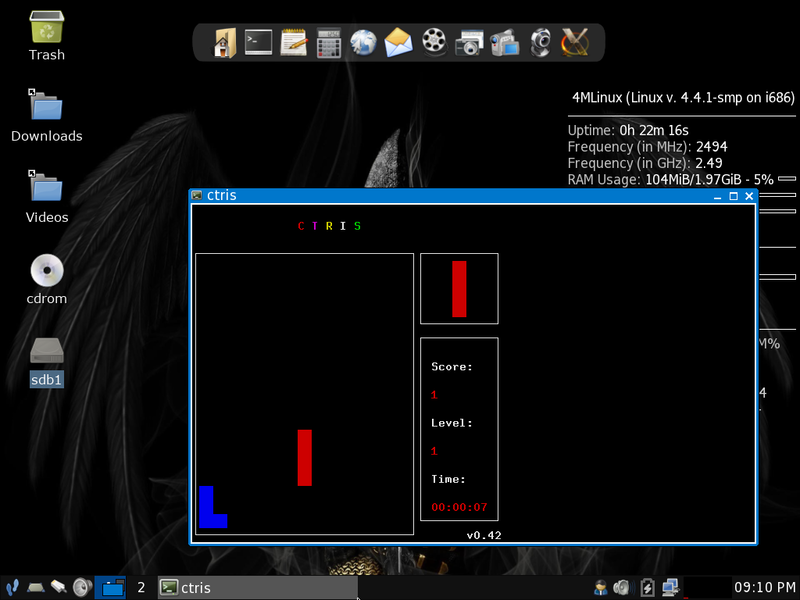 There are terminal based games such as Tetris, Snakes, Mines and Towers. There is an XToys menu which lets you have penguins walk over your screen or have eyes looking at you. There is an XGames section which includes Galaga. 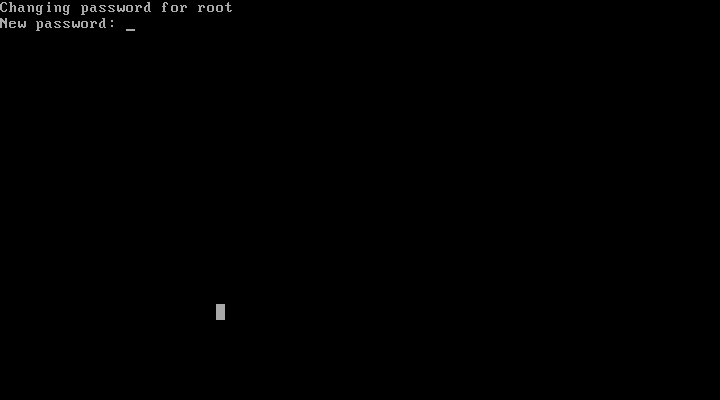 This is a command line version of Galaga which is ultimately a Space Invaders type clone. Other games included in the mystery section are Sudoku and Quake. 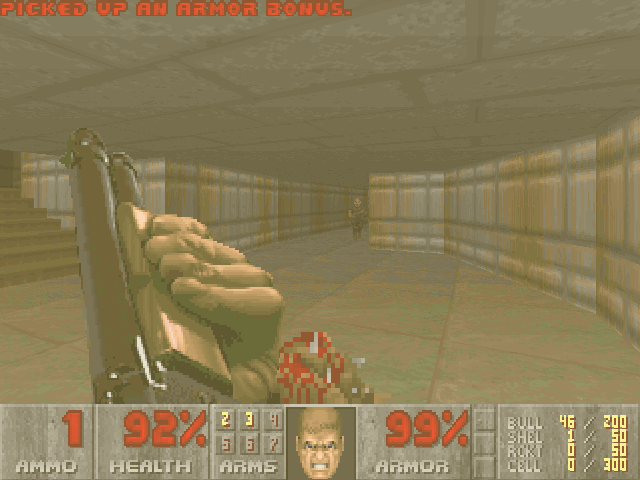 The main focus however has to be on Quake and Doom which have their own section within the Mystery menu. You are asked to download a WAD file but due to the lightweight nature of 4M Linux it runs really well. 4M Linux also has WINE and DOSBox installed with a number of emulated Windows and DOS games available. There is an extensions menu which provides links for the Firefox web browser, Thunderbird mail client, Chromium, Opera, Skype, Dropbox and FileZilla. LibreOffice is also included as an option. Each of the menu options provides a download script which downloads and installs the specific piece of software. Rather bizarrely whilst downloading Firefox the 4M script also chooses to download and install Flash. Whilst users might like Flash to be installed I do feel that this should be provided as an option as opposed to forcing it as part of the installation. Earlier on in this review you will have seen a couple of cases where it says something is available on the installation CD. To install these packages open a terminal window and navigate to the /var/4MLinux folder. A quick ls command shows a list of add-ons which you can install. The above will install the Cairo Docking bar. Some of the files are only on the live USB or CD you used to install 4M Linux in the first place. Insert the media and navigate to the “devel/extras” folder. You will find a host of other xz files which can be installed including LAMP. I have listed most of the issues as I have gone through the review. 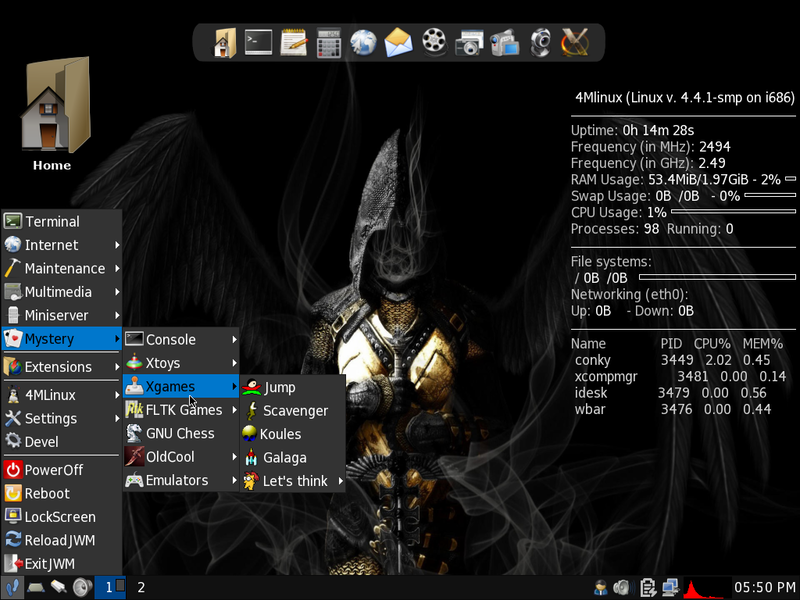 In general 4M Linux works quite well. The installer could do with some work and perhaps it is time to bring it into the 21st Century and provide an EFI option. The main issue is the wireless internet problem. This is my second review of 4M Linux and I haven’t been convinced by it either time when it comes to connecting to a wireless network. This makes it impossible for me to use this as a recovery USB drive because I can’t trust that I can get connectivity. 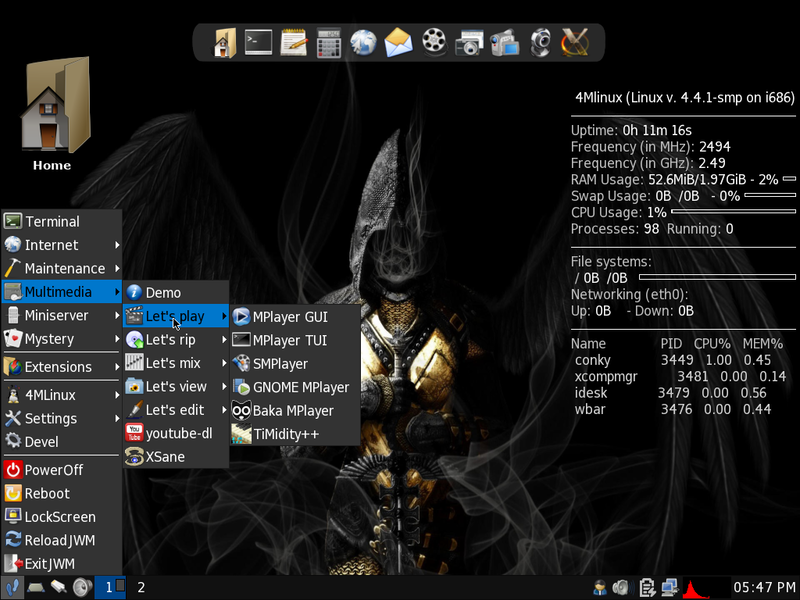 The GUI looks stylish and 4MLinux performs well. There are a few too many whys to be answered before I could use this over something like Q4OS and AntiX. Why can I not get a wireless network connection? 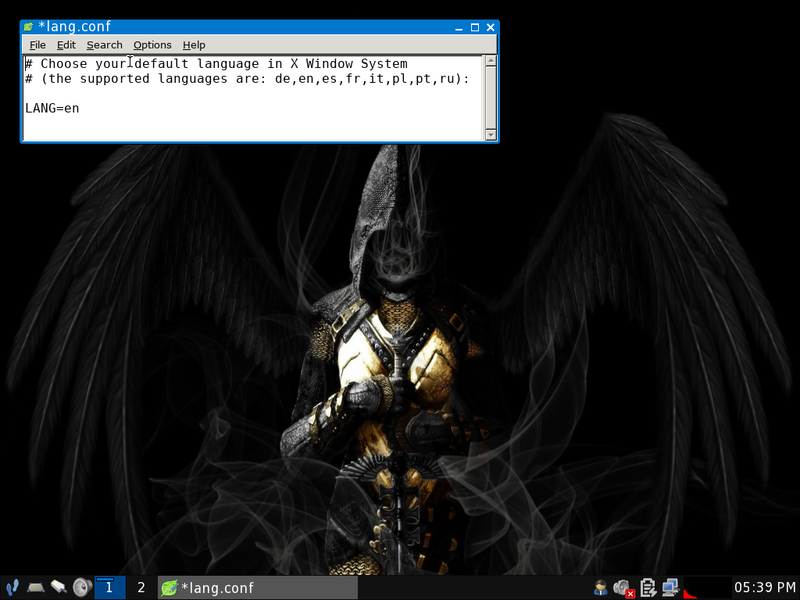 Why after installing 4M Linux does it boot to a command prompt and not a GUI? Why have applications installed that are dependent on other applications which aren’t installed? There is in general a good selection of lightweight applications installed and the extensions menu gives you access to a few key applications such as a decent browser and office suite. The games section is very nice and the inclusion of DOOM and Quake is a good touch. The trouble is that I can see some nice things but I can’t think of a reason why I would use 4M Linux over something else. The key fix for the next release is to nail wireless network connections. Borrow the code from another distribution or include a network manager that just works. Puppy Linux has a tool called Frisbee which is lightweight and not so pretty but it definitely works. If in doubt use that. A very nice review ! The only sensible review that I have discovered so far. Youtube videos seems senseless to me. Puzzled on your "conclusion". After thinking on the tedious introduction, you seem to be writing: other major distributions make smaller ones (Puppie, 4mlinux, etc) not so worthwhile. So I will not bother testing it. Lubuntu, Peppermint or Watt-OS seem better, imho. All these are lightweight Buntus.